In case you forgot, astronauts are the best. Each crew that voyages to the International Space Station gets their own poster, and more than one crew used the opportunity to star in an epic pop culture remake. Expedition 16 - The future begins. Expedition 18 - Space stations aren't born. They're built. Expedition 21 - To boldly go where no man has gone before. 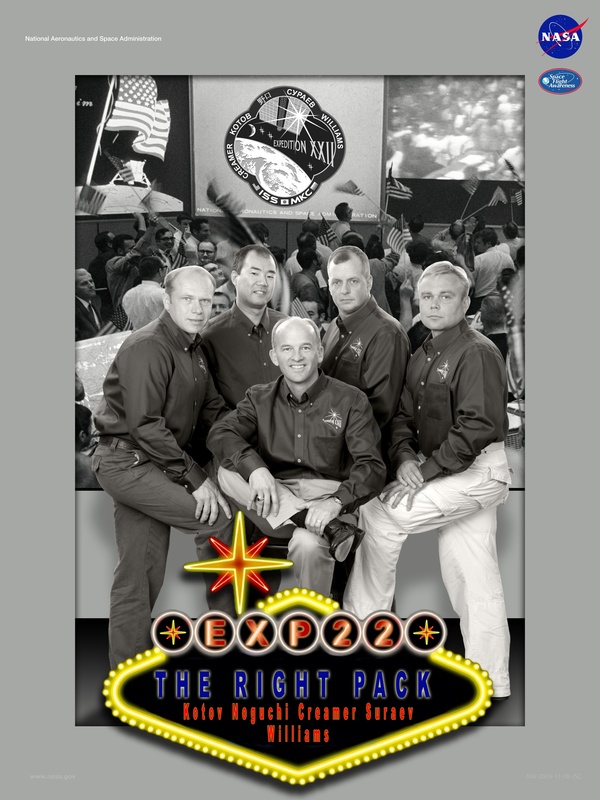 Expedition 22 - The right pack for space cooperation. Based on The Rat Pack. Expedition 23 - Every space cadet has his day. Expedition 26 - Come together. At the International Space Station. Based on the Beatles Abbey Road album cover. Expedition 29 - We fight for science. Expedition 30 - Space pilots over the Caribbean. Based on Pirates of the Caribbean. Expedition 31 - More than meets the eye.